Why choose Adobe Acrobat DC? While perceived licence savings are attractive, a sound decision weighs price against hidden costs and potential compromises to your organisation. While reducing costs is always a key priority, security is not the place to compromise. Adobe provides comprehensive and proven security measures, including participating in the Microsoft Active Protections Program (MAPP). The risk of a data breach is also present at the document level – that’s why Adobe Acrobat DC includes a full spectrum of document security options, from basic password security to certificate-based controls. Adobe supports the widest range of deployment strategies, including Microsoft System Center Configuration Manager (SCCM), System Center Updates Publisher (SCUP), Group Policy Objects with Active Directory, Apple Package Installer and Apple Remote Desktop. As the Windows installer is based on standard Microsoft technology, Adobe installers are likely to work with most other Microsoft-compatible deployment tools. In addition, support is available for common hosting environments such as Citrix XenApp, Citrix XenDesktop, VMware Horizon, Microsoft WTS, Microsoft App-V and Windows Terminal Server. Acrobat DC allows employees to create documents that conform to ISO specifications, such as PDF/A and ISO 32000, as well as verify conformance and potentially correct compliance errors. Adobe actively contributes to the evolution of the ISO standard so that the PDF format will continue to expand and meet future needs. Unlike Acrobat DC and Acrobat Reader DC, non-Adobe PDF tools often take years to implement the entire ISO PDF specification. Acrobat DC enables employees to reliably view and interact with PDF documents across platforms and devices. For example, the free Acrobat Reader mobile app enables staff to work with PDF files on Android, iOS and Windows Phone devices. Extending content to mobile devices increases the value of corporate assets. Real-time access to information translates to a more informed workforce better equipped to do their jobs – such as content reviews – without being limited to specific platforms, devices or locations. Maximise your Microsoft investment by providing a more streamlined experience with PDF documents. Users can open and edit PDF files stored in SharePoint, Office 36S or One Drive directly from Acrobat DC on Windows and Mac machines. Check out, adding and editing metadata, check in, and version control works in the same fashion as other file types. Additionally, users can leverage SharePoint to enhance document review and data collection workflows. PDF files aren’t all the same. This is especially true in regards to accessibility for users who have difficulty hearing, seeing, or making precise movements. Acrobat DC and Acrobat Reader DC provide strong accessibility support for consuming and working with PDF documents and forms. 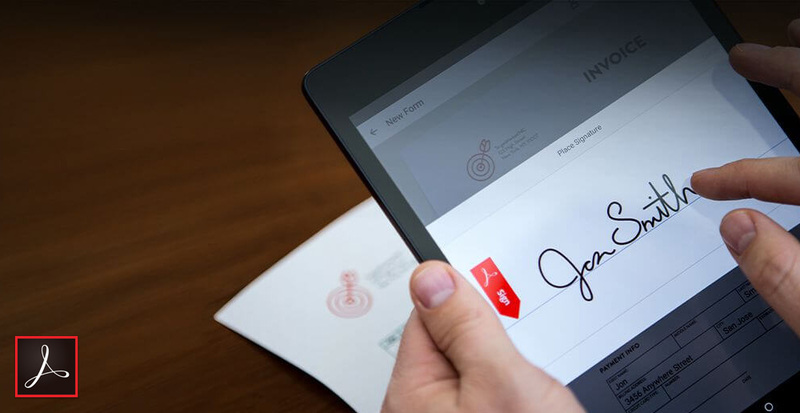 Give your workforce the tools they need to create, edit and sign PDFs anywhere. Get the tools you need to speed installation and manage updates. Rest assured knowing your organisation’s PDFs are protected by Adobe, the leader in digital document security. Although initially licence fees may seem to be a significant portion of the total cost of software ownership, they actually represent only a fraction of the cost. Additional outlays for procuring and managing software can negate any upfront savings.